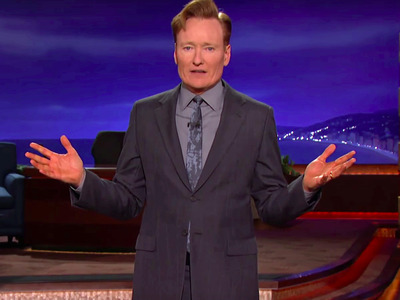 Conan O’Brien was just one of the late-night hosts to take time out from his funny show to get serious and address the horrific mass shooting at a gay nightclub in Orlando late Saturday night, which left at least 49 people dead and is now considered the deadliest shooting in US history. “At a time when we have heard the worst stories about senseless violence in our country, that it couldn’t possibly get worse, the news out of Orlando yesterday is still impossible to fathom,” O’Brien said in front of his audience at the start of his show. “I have really tried very hard over the years not to bore you with what I think. However I am a father of two, I like to believe I have a shred of common sense, and I simply do not understand why anybody in this country is allowed to purchase and own a semi-automatic assault rifle. It makes no sense to me. These are weapons of war and they have no place in civilian life. The shooter in Orlando had numerous weapons when he committed the act, including an AR-15 assault rifle.